Renergy Solutions Ltd provide a wide range of eco-friendly renewable energy solutions. All of our products are designed to reduce energy bills as well as carbon emissions, helping to ensure a sustainable future for our planet. 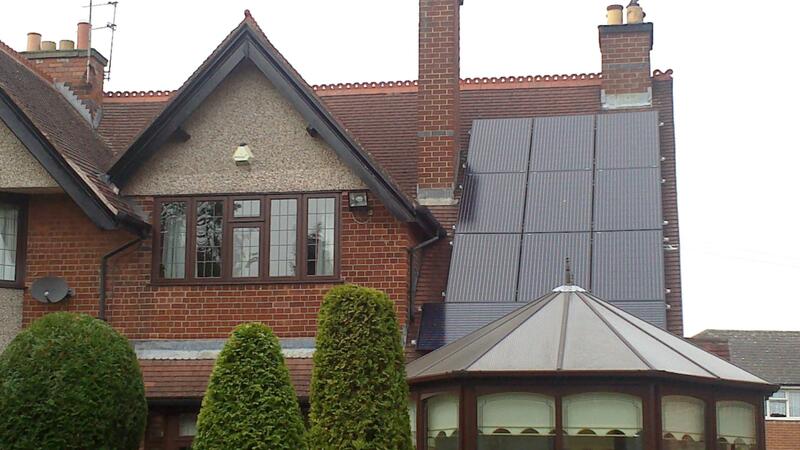 Renergy Solutions Ltd are committed to the Renewable Energy Consumer Code (RECC) so we guarantee you will only get honest, friendly, verifiable advise that will leave you in no doubt that you have chosen the right installer. We firmly believe in our products and services and are dedicated to forging long lasting relationships with our clients. We are also a Which? trusted trader for extra peace of mind for our customers!!!! 4kWp system in Ellistown, difficult one but the team did a fantastic job!! Renergy Solutions are renewables installers who supply and install airsource heat pumps , supply and install Solar PV , and provide access to the renewable heat incentive.